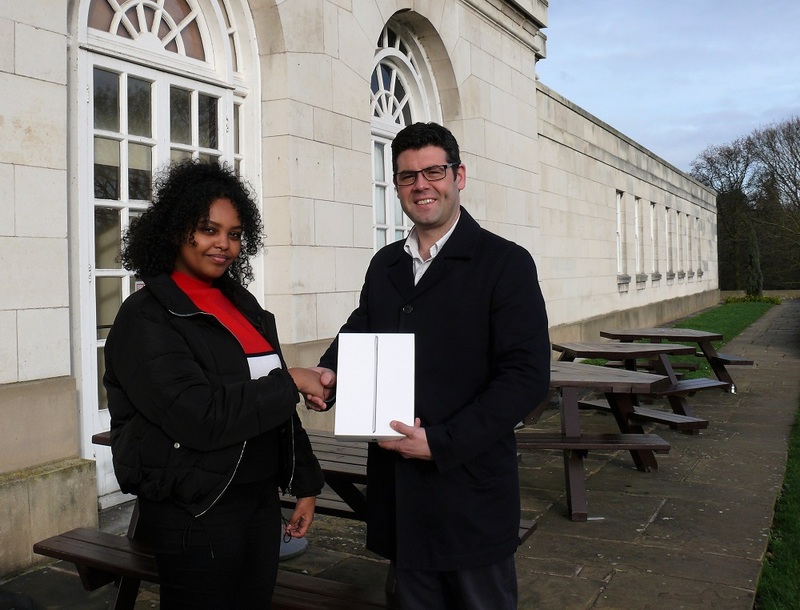 Congratulations to Sofenit Thewodros from the Health Sciences who won the Fresher’s IT Survey Prize. 1100 students responded to the Freshers’ survey in 2018; 474 more than in 2017. All students who completed the survey were entered into a prize draw to win an Apple iPad Mini. The Freshers IT Survey provides vital feedback for our services. Access to IT services is paramount in the first days and weeks of a student’s career. Results from previous surveys have lead to our increased presence on campus via Smart Bars and a number of ‘how to’ videos because of previous Fresher Survey results. There were also many positive comments about IT Services and our helpful, friendly approach – full feedback will be shared once we analyse the data.